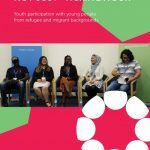 This resource provides national data on humanitarian youth arrivals for the period June 2015-16. MYAN has produced Information Sheets annually by financial year since 2008. This information sheet is the first place this data has been compiled nationally and provides an important snapshot of settlement trends and patterns in youth settlement to Australia through this migration program. It also provides some analysis of the issues impacting young people in the settlement context.